These machines features a very simple operation. The working cycle is fully automatic. 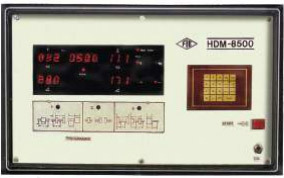 From safety point of view a double press push button starts machine, measures and stores the unbalance values on DPMs for two planes simultaneously and stops machine ( with brake if machine is provided with electrical breaking facility.) 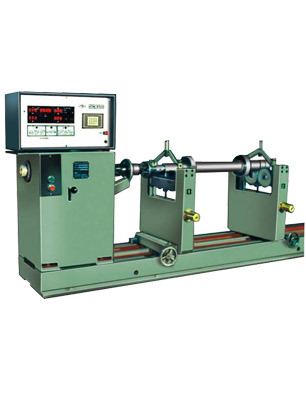 The measuring cycle general is less than 10 seconds for normal rotors, which can be accelerated within 5 seconds. 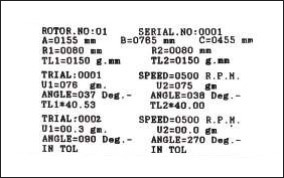 A matrix printer can be connected through available 'FIE' software. Amount and angle of unbalance for both planes displayed on separate DPMS. Hence linear accuracy is very good as compared to Analog meter. Accuracy + 1 Digit for amount and +1 Degree for angle.